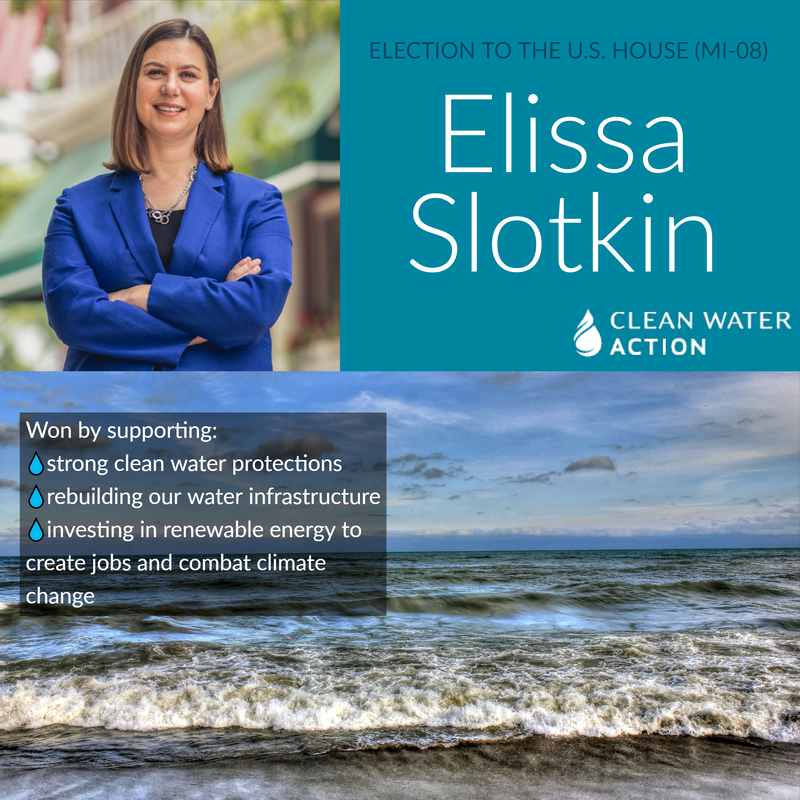 After the 2016 elections, Clean Water Action put a renewed effort into organizing communities with an eye toward electing a pro-environment majority in Congress in 2018. Staff identified districts ripe for change in several states, prioritizing 15 Congressional districts in Michigan, Minnesota, New Jersey, Pennsylvania, and Virginia. 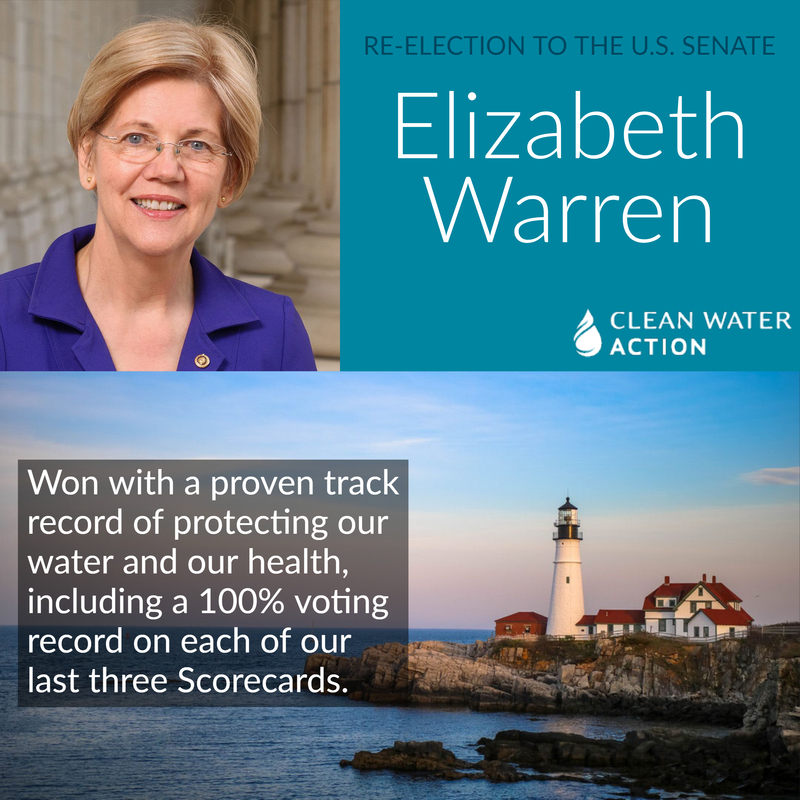 Clean Water also focused on defending several senators, ensuring state legislatures across the country were led by clean water champions, and winning several gubernatorial races. The organization put its expertise in door-to-door field canvassing to work in these 15 districts, knocking on more than half a million doors. Hundreds of professional canvassers fanned out across the country to talk to voters. Field canvassers spoke with tens of thousands of voters, identifying clean water voters and motivating them to get out and vote on Election Day. It worked. 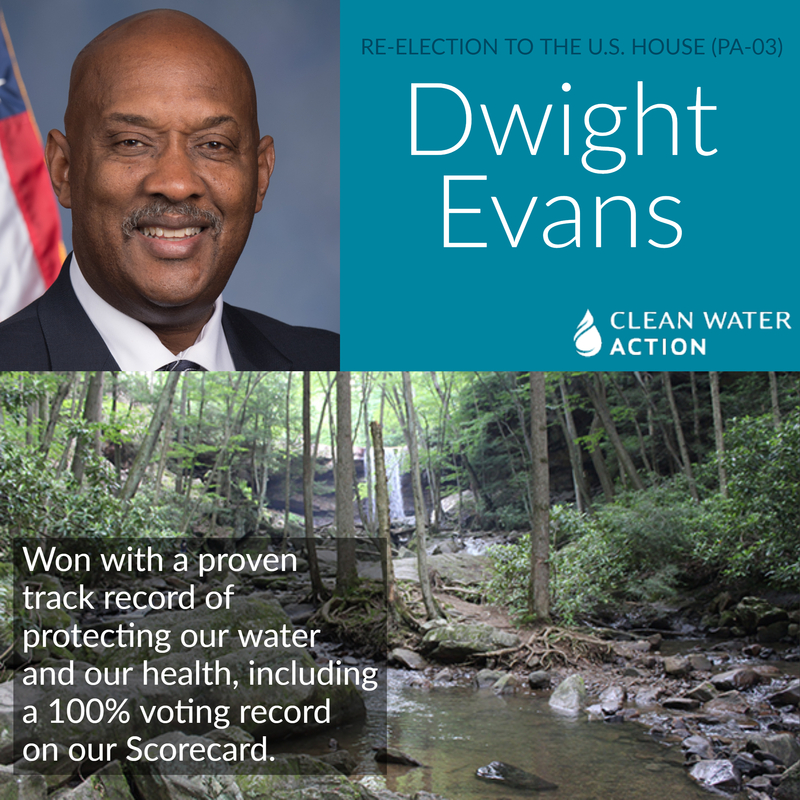 Clean Water-endorsed candidates in 14 of the 15 targeted districts won their races. Gubernatorial candidates Tim Walz in Minnesota and Gretchen Whitmer in Michigan both won election and Senators Debbie Stabenow (MI), Elizabeth Warren (MA), Bob Casey (PA), and Sheldon Whitehouse (RI) were all re-elected. In addition, Pennsylvania re-elected Governor Tom Wolf and Governor Gina Raimondo won a close race for re-election in Rhode Island. Clean Water efforts also yielded big wins in state legislatures. 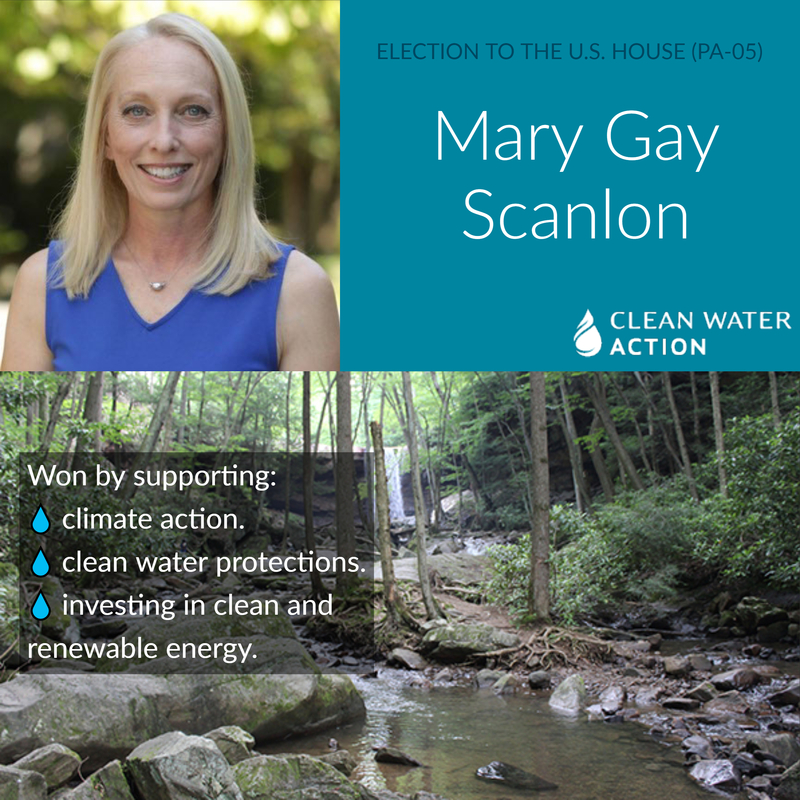 All of the candidates endorsed for the Massachusetts legislature won, several seats flipped to a pro-environment candidate in Pennsylvania, and clean water candidates won in Maryland, ensuring a strong pro-environment contingent for the 2019 legislative session. 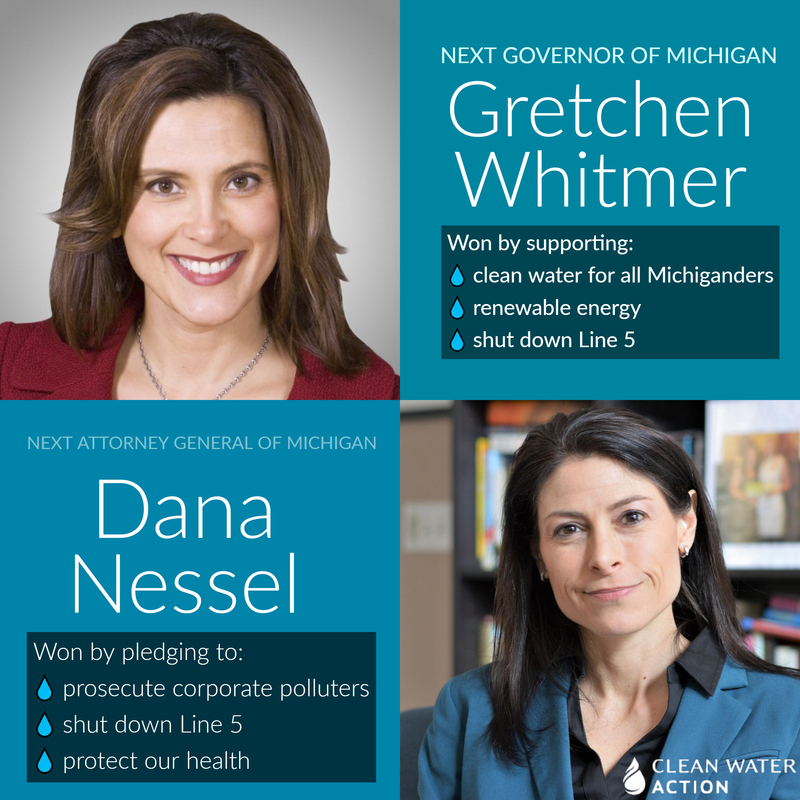 We also helped elect Dana Nessel as Attorney General in Michigan, along with 10 important state house and state senate seats. 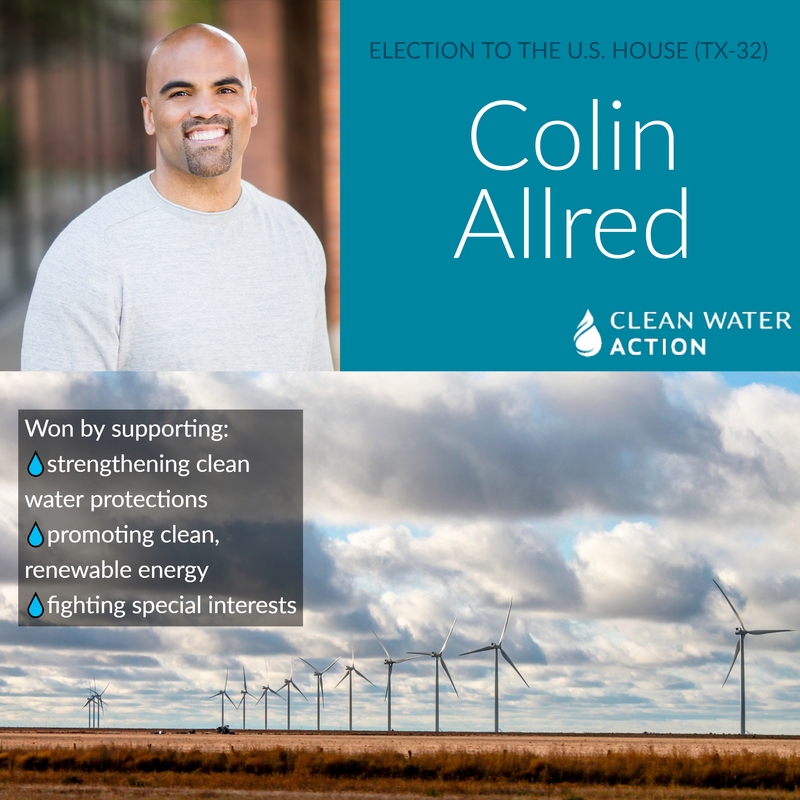 Most exciting was Texas where Clean Water efforts won two out of four state senate races, and eight of nine races in which the organization endorsed in the state house – including eight seats that flipped from a pro-polluter to a pro-environment candidate. 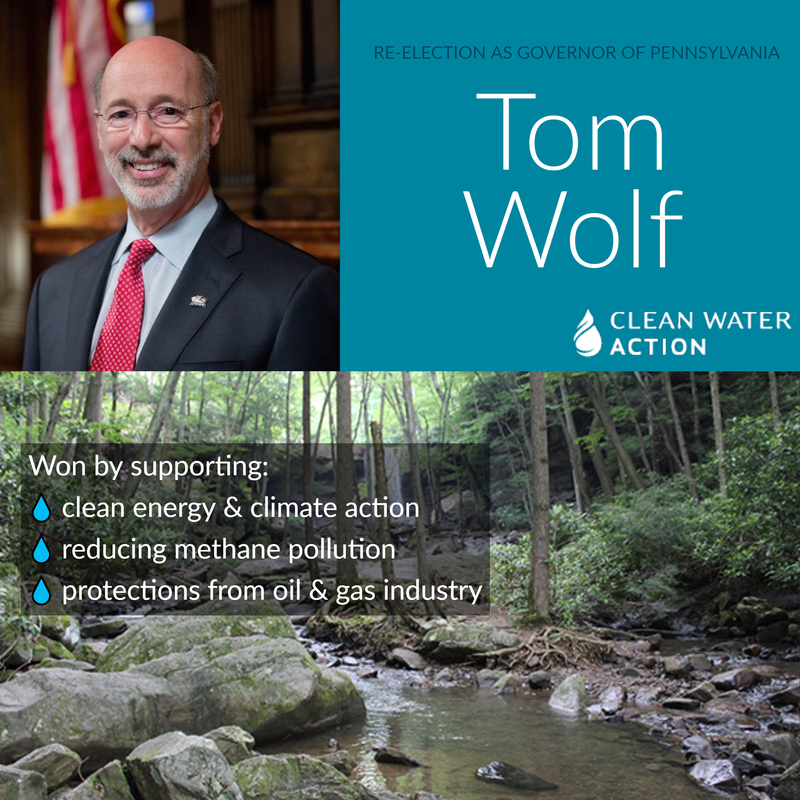 See below for a full list of clean water wins. 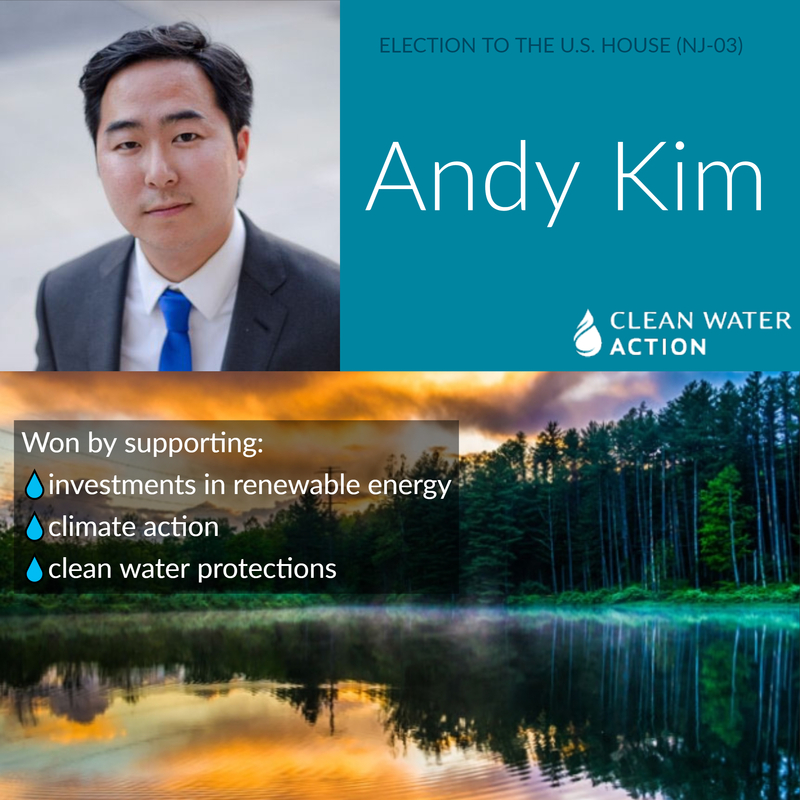 In the four competitive races that Clean Water Action focused on in New Jersey, canvassers knocked on more than 218,000 doors, holding personal, engaging conversations to maximize votes for our endorsed candidates Mikie Sherrill, Andy Kim, Tom Malinowski, and Josh Gottheimer. 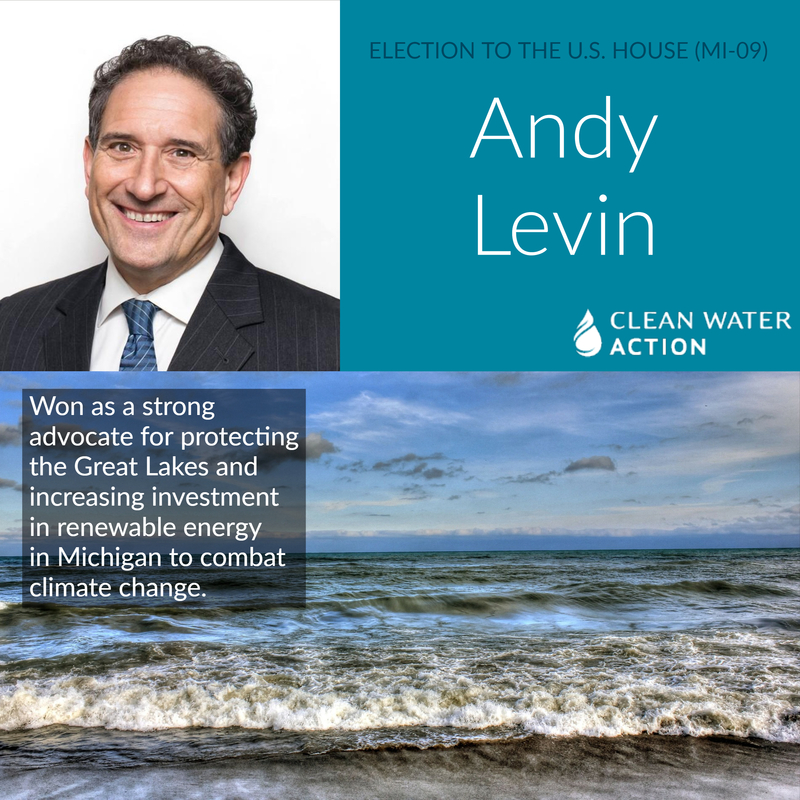 In addition to electing all four Representatives, Clean Water Action was able to help defend and re-elect Senator Bob Menedez. 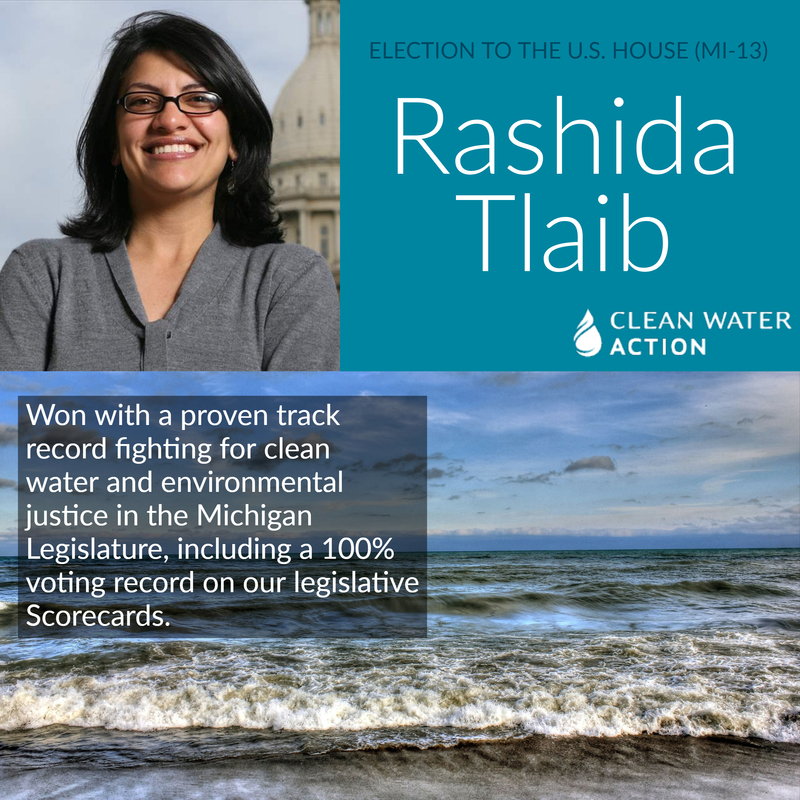 In Michigan, Clean Water Action organizers canvassed more than 142,000 voters, supporting Gretchen Whitmer for Governor, Dana Nessel for Attorney General, Senator Debbie Stabenow, and candidates for U.S. House, like Rashida Tlaib and Gretchen Driskell, and state House in targeted swing districts. In Pennsylvania, field organizers focused on swing suburban Philadelphia districts, knocking on more than 57,000 doors and speaking with voters to urge support for Governor Tom Wolf, Senator Bob Casey and key state candidates. 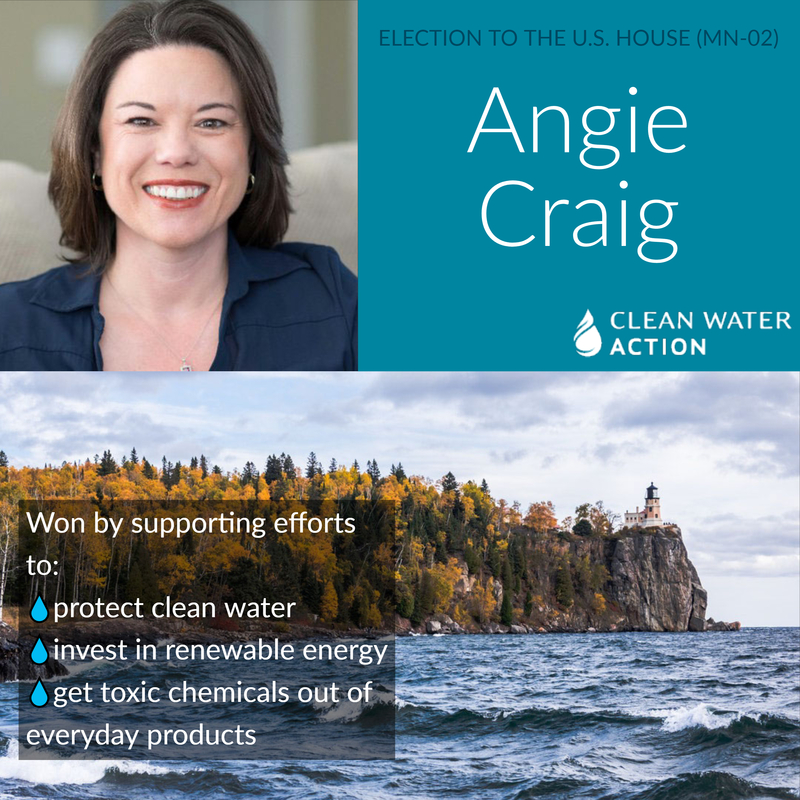 In Minnesota, field teams knocked on more than 16,000 doors in swing districts to help replace anti-environment representatives with Angie Craig and Dean Phillips, and elect pro-environment state legislators and Governor-elect Tim Walz. The effort didn’t stop until the polls closed. Organizers spoke with voters in these districts right to the end, ensuring that as many clean water voters as possible were able to get out and support candidates who will push back against the dirty water agenda in Congress, help fill the leadership gap on efforts to address the climate crisis, and loosen the stranglehold that special interests like the fossil fuel industry have on our democracy. 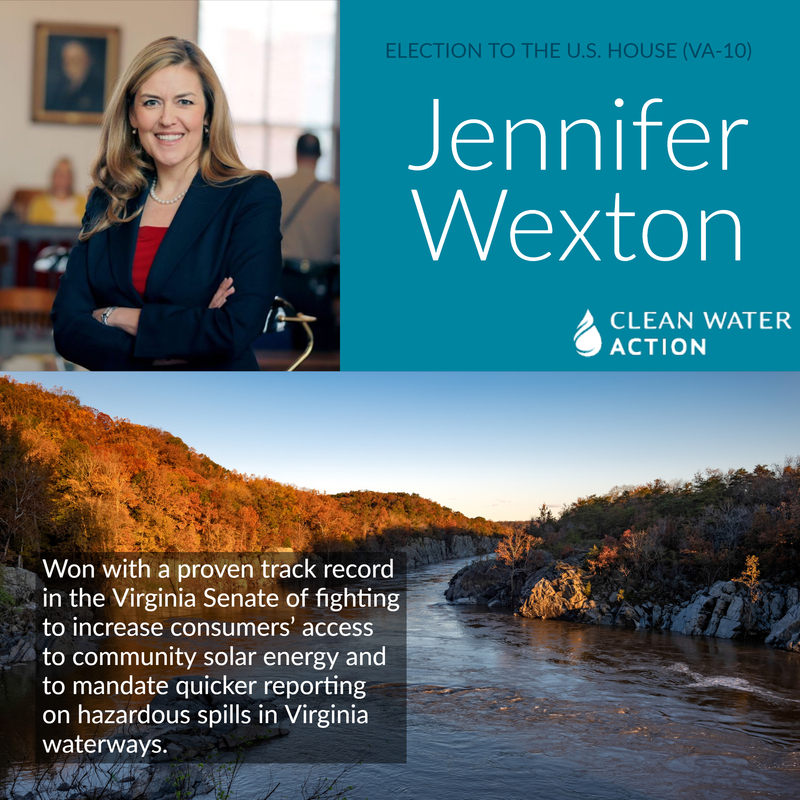 Clean Water Action has a deep history of identifying opportunities to elect clean water leaders and then winning by putting resources into the field, knocking on thousands of doors and talking to voters. The organization continued that excellence this year. Study after study shows that field operations win campaigns. The importance of person-to-person contact can't be overstated. Clean Water Action has known this, and practiced it, for more than 46 years. The strategic investment in field operations this election will pay dividends for years to come. Despite helping to ensure a pro-environment majority that will set the agenda in the U.S. House and strengthening clean water leadership in state capitols, the road ahead is long. Polluter allies increased their grip on the U.S. Senate and the Trump administration is still doing everything it can to undermine commonsense protections for our water and health and dismantling landmark laws like the Clean Water Act. 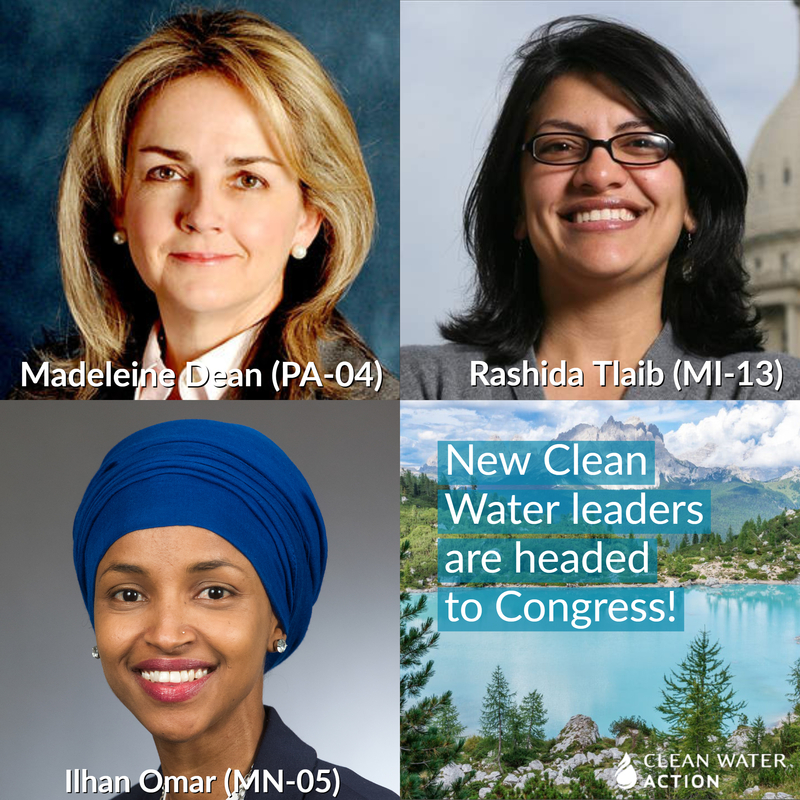 Clean Water Action is looking to 2020, identifying districts and states where the organization can make a difference and elect another crop of clean water leaders. In the meantime, Clean Water staff will focus their expertise on fighting the dirty water agenda from the Trump White House, holding newly elected leaders to their promises and, most importantly, building the movement for clean water.